We got the idea for this fun, funky and fabulous craft from the October issue of Family Fun magazine. They turned the ping-pong balls into glowing eyeballs! We made a few of them to hide in our shrubs for Halloween. But it was such a great craft that we decided that it shouldn’t be limited to just one season. 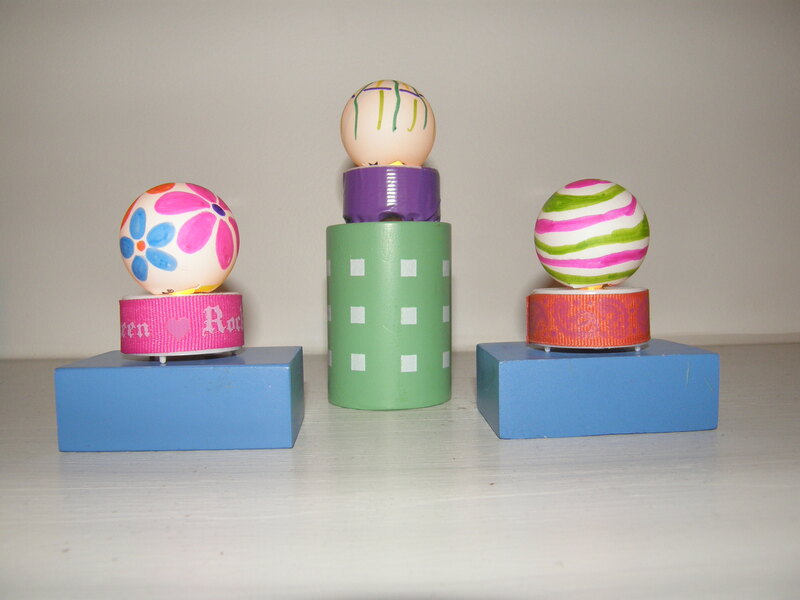 Using the same basic idea, we decorated the ping-pong balls with colorful designs, then added color around the base of the tea light too. 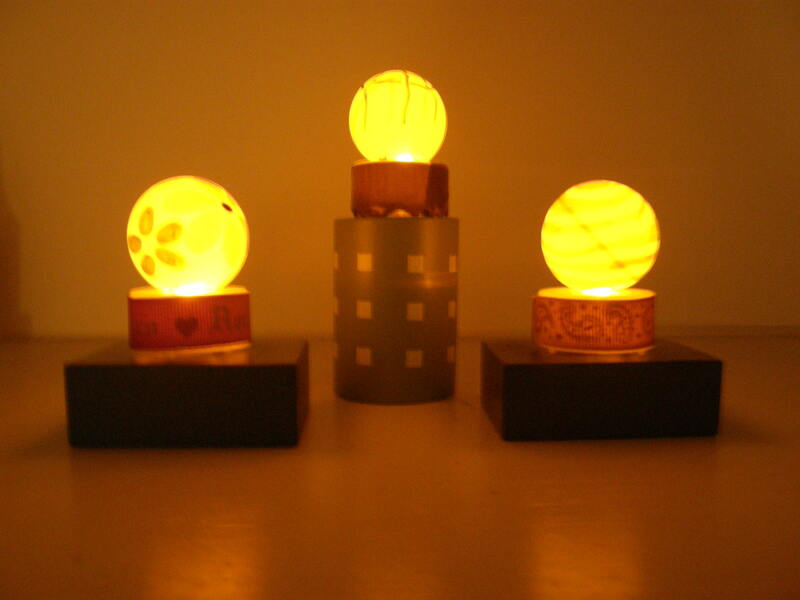 Now we have little glowing lights to brighten up any room! 1. Have an adult cut an X in the bottom of a ping-pong ball. 2. Draw a funky design on the ball with the permanent markers. 3. Push X on ball over the plastic flame on the tealight. 4. Wrap duct tape or decorative ribbon around base of light.